The Jarvis Model HTC-80 and HTC-110 – hydraulically powered toe cutters for hogs, sows, calves and sheep. 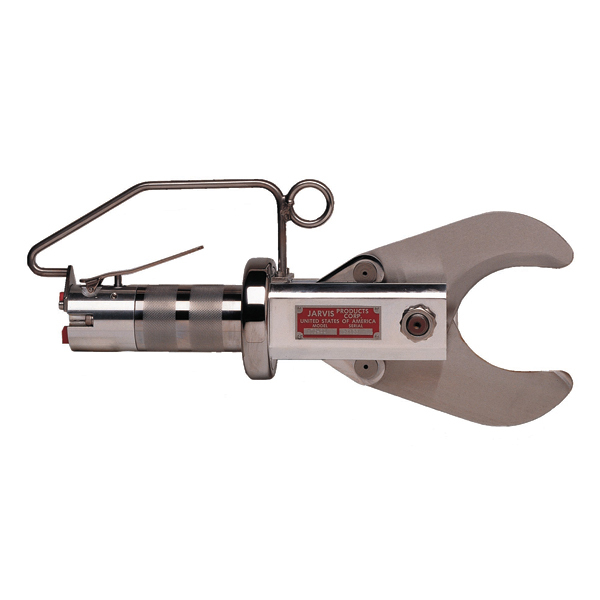 • Robust, powerful tool for removing hog and sow toes or feet as well as cutting hocks on calves and sheep. • Blade opening (HTC-80) 3.15 inch (80 mm), (HTC-110) 4.42 inch (112 mm). • Fast cutting, only 0.7 seconds per cut. • Clean cutting – no splinters, no bone dust. • Special hanger – the HTC-80/HTC-110 – can be used vertically or horizontally. Excellent in both positions; makes work easier. • Blade guard is mountable on both sides for left or right handed operators. • The HTC-80/HTC-110 is virtually maintenance free, for long trouble-free life. • Lightweight – only 10.6 lbs / 4.8 kg (HTC-80), 11.5 lbs / 5.2 kg (HTC-110).